In the past, medical textbooks described the typical person unlucky enough to develop a kidney stone as a white, middle-aged, obese man who eats an unhealthy diet and doesn’t drink enough fluids. Those books may need an update. 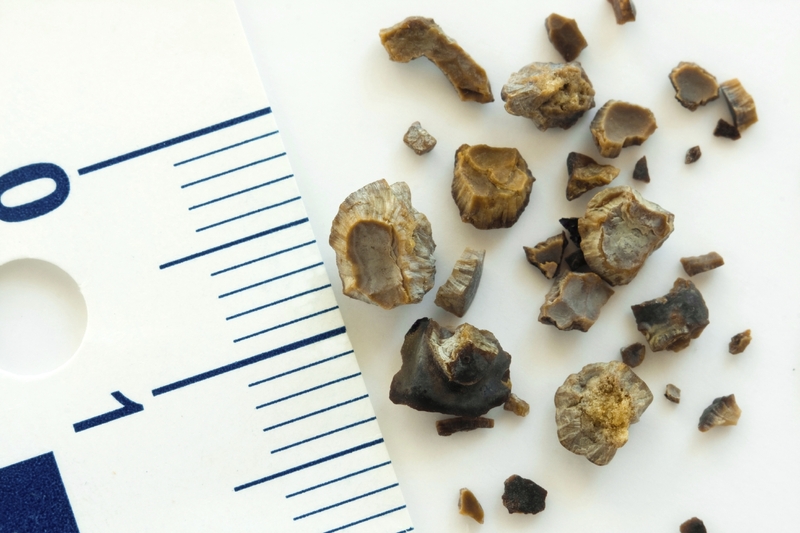 A new study has found not only that the incidence of kidney stones is going up, but that they are also developing in people not considered high-risk in the past, including children, women, and African Americans. We need more research to understand the reason — or reasons — kidney stones are becoming more common. If we can figure it out, there’s a good chance we can find better ways to prevent them. Considering how painful and potentially dangerous kidney stones can be, prevention is key. Ask anyone who has had one: kidney stones are definitely worth avoiding if possible. I am a kidney stone farm according to my nephrologists. I’m 48 and have had 12 chronic episodes since age 21, requiring doctor administered pain management (including morphine). One kidney rupture in 2001due to back flow pressure. Emergency surgery. I take potassium-citrate supplements such as UROCIT but the same can be accomplished with 4 squeezed lemons in a tall glass of room temperature water first thing in the morning before eating or drinking anything else. Followed by a banana. My stones are calcium oxalate, the hardest composition. Due to genetic family history, high animal protein diet in my youth, a high anti-oxidant diet (which in most cases is desirable), eating patterns (late night eating is no good). The major factor however was insufficient intake of WATER. In my youth I hydrated with sodas which unfortunatley have a lot of sugar but high levels of oxalates. Since changing my diet and avoiding animal proteins, eating at regular hours, reducing the amount of coffee, eliminating sodas and most of all increasing my water consumption I have minimized the stone formation. I have not cut back on anti-oxidant foods as they are crucial to prevent other maladies but my doctors have no issue with that as long as I flush away, flush away, flush away with WATER. The brain injury has affected: my thyroid function (triggering bouts of hyperthyroidism, causing rapid weight loss, loss of appetite (absolutely no sense of hunger leading to rounds of dehydration/malnutrition, etc. lab results reported low sodium, low protein, including low cholesterol, etc., etc..
After numerous episodes of transient vision loss/blindness), those were determined to be caused by episodes by hypotension. I was referred to a cardiologist and underwent every test available to rule out the possibility of being a cardiovascular issue. The cause of the hypotension was determined to be neurological. I take numerous medications for chronic pain (Complex Regional Pain Syndrome/RSD); for ADD, anxiety/depression, etc., etc,. Last week, frightening/agonizing pain resulted in a trip to our nearest ER. After a CT and xrays, turned out to be a kidney stone (>5.5 mm) whose odds of being able to pass eventually, are not encouraging. With so many neurological/physical/mental issues along with being cared for by so many different physicians/specialist, how does one choise the best source to address/determine/diagnosis of the reason/cause of these kidney stones? FYI: No personal history or family history of kidney stones. Wow! What a load to bear. You poor thing! I don’t have advice about the management of the kidney stones, however, I can say from experience that most of the ADHD, Anxiety, and depression meds are dehydrating to some degree. If you combine, it gets worse. That prolonged internal drought puts you at risks for more stones. I have never been able to successfully take more than one type at once, due to Irritable Bowel Syndrome (dry type). Try to take the lowest possible dose of whatever you need to take, and try to eat lots of high water content food, such as melons, cucumbers, etc. Hope you find some relief. I am desperate to find any way to halt the formation of these stones, and this seems like a well-informed group. Does anyone know of or have any information on the prevalence of kidney stones in people with Parkinson’s? I am an active and healthy 45 yo with Early Onset and have suffered five brutal bouts with stones. The first one hit pretty hard and put me in the emergency room even though I have a high pain tolerance, so I have a sense of compassion for everyone here! I have noted in research that there appears to be a correlation between a rise in Uric Acid and an increase in Parkinson’s symptoms. Also, does wine cause problems? My diet is already restricted because I have Celiac Disease, so I am hoping I can keep enjoying a few glasses of wine on the weekends. What about medications? I have asked my neurologists about Carbo-Levodopa and dopamine agonists and also about Azilect, but they assure me none of the PD meds cause or aggravate stones. Does anyone drink tart cherry juice, plain cranberry juice (sans sugar) or anything besides water, lemon water, and parsley tea that helps? Thank you in advance for any words of advice or links. I am really suffering when these hit! In many cases, kidney stone formation has a strong relationship with a lack of water in the diet. Not just any fluids. Plain water. The typical American lives their life in a constant state of partial dehydration. Often they are not even aware of it. I ingest 1-2 magnesium citrate pills/day against leg cramps ,has magnesium deleterious effects on kidneys?should i take potassium citrate instead to prevent recurrent stone formation? the info on effect of parsley is contradictory ,is het good or bad in view of it high oxalate content. I had 2 major kidney stones 5 years ago. One in each ureter too large to pass on their own. After my urologist blasted them, he recommended that I have a blood test to check my parathyroid. The parathyroid consists of 4 very tiny organs behind the thyroid that control the amount of calcium in the blood. If your parathyroid is abnormal it can put too much calcium in your system which can cause a host of problems. One of the problems it causes is repeated kidney stones. It was corrected with an operation. I have not had any repeat problems with kidney stones since. I had never heard of the parathyroid before this. Its easily checked and saved me a lot of pain. I hope more articles and research will be posted concerning kidney stones. I am 51 and have on-going stones. Last year (2015) I passed nine. After five urologists and one year with a nephrologist, I am trying Tibetan medicine. I drink enough water, my blood tests are normal, my kidneys are healthy, my PH is good. Pathology reports three types of stones, two types actually at one time. My doctors are baffled and refer me to uro or nephro depending on who I am talking to. This has been going on for seven years. I am passed the depression, onto living life in increments–between stones. I have used D3-K2 and high blood pressure medicine (two types). I have tried all sorts of natural techniques. My diet is mostly organic, some meat, low sugar and little caffeine. Apparently, I make stones quickly and pass them when they are small. Luckily, no surgeries. My intention in commenting is to bring more attention to this issue. I have called many nephrologists in the Denver, Colorado area, only to be told that doctors do not know what causes this problem. Very true. Dietary change and preservatives exposure, sedentary life, reduced water intake, and confounding medical disorders are factors for stone formation. An overactive bladder has many causes, as rightly posted. It remains to be remembered though, that in women on the brink of menopause, cryptic flashes- meted from our brain- are significant causes, manipulating peripheral bladder nerve endings, causing elevated sensitivity to stimuli- even little urine wakes up the patient when a flash pounds our brain. This was my experience in menopause, when all other causes, of stones, infection, interstitial cystitis, constipation, tumors, or polyps were excluded- I being a physician. My wife loved spinach & some of the other non-recommended foods. visited the emergency intake three times for assistance. The “assist” was a morphine drip to relax me as the pain doubled me up. Be prepared to deal with a hostile doctor, as was the issue with my last visit. The MD demanded that I take a blood test before I was allowed to benefit from a morphine drip. He could easily see I was profusely sweating, & in pain. My age then was 60 & obviously not a drug addict. did not mention that as I would have been forced to take a taxi home. I since learned that MD is considered a “jerk” by his patients. So I do remember “fondly” 🙂 the stone issue but due to the morphine. To help prevent the formation of kidney stones it depends on what the stone is made of, is it calcium oxalate , calcium phosphate or uric acid. In my case, calcium oxalate, I am on a low oxalate diet plus various Rx medicine. The main thing is to drink at least 2 liters of water every day regardless of the stone chemistry. I measure my water intake with a 2 liter bottle I fill every day to make sure I get enough in, otherwise you won’t. But if you’ve had a stone, you and your urologist and a dietition can work out meds and diet to help prevent them. Good luck. Specializing, writing and speaking on technology dependents, I wonder how many these individuals are sitting at their computers on other devices for extended periods of time without drinking liquids or moving to stimulate their digestive and circulatory systems? Is this a possible connection? This would be an area of concern as a professional and apparent sensor many of the young people developing this condition are so young. Additionally, Many individuals are not taking the time to eat properly and are relying on protein supplements for their nutrition. What are the implications and the connections to these behaviors? I found this topic very timely, an avenue to sensitise the masses against the danger of unhealthy life style. Obesity is on the increase . Interesting that the researchers go as far as climate change as a reason when there are a lot more obvious reasons available closer to home. – People including many children are chronically dehydrated, due drinking sweet and caffeinated drinks but also due just simply not drinking enough boring plain water. – Added calcium in many “kids” foods, dairy products, cereals, juices etc. I have been diagnosed with Randall’s plaques and just experienced pyelonephritis due to 3 kidney stones. The last experience i had was a couple of years ago that included 5 kidney stones and hydronephrosis. I had severe kidney stones in 2012 and doctor said one was blocking left kidney from functioning and I had to have two surgeries. Even then passing the remaining small particles was extremely painful as they have sharp jagged edges that tear and cut into you as they pass. Doctor also said I had sludge and tumors in the kidney. My symptoms were pain in the lower back and groin area and blood in the urine. Doctor also advised to drink a lot of water and lemon water, never drink soda, and avoid salt. I believe that my stones were caused by taking calcium pills, eating pizza and tomato soup and other salty foods, and taking vitamins which I thought were healthy. Dr. said take a multi-vitamin just once a week instead of daily. Also first doctor I saw said I don’t know what s wrong with you, but it may be an infection so I’m giving you an antibiotic. When I got home I started thinking what would an infection look like? I thought a fever and maybe cloudy urine, but I didn’t think that would equal bloody urine so I called and made an appointment with the urologist who did the surgeries and follow-up care. I still drink lemon water daily and prepare most of my meals myself without salt. I guess the tumors were beneign as he said it often occurs in older people. I hope something I’ve said will help someone. I am a kidney stone patient too. My family doctor recommend water soluble calcium supplements such as Calcium citrates. As a 30 y/o male who has suffered through 6 ‘known’ bouts of kidney stones, first at the age of 18, I find this very interesting. For Harvard to throw a shameless plug for climate change (read: ‘it’s because of warmer temps people won’t drink as much!’) was extremely disheartening. They are the most reputable organization of higher learning in the US if not the world; have your medical articles be unbiased, please. No one reads a kidney stone article looking for political viewpoints. For shame. Climate change isn’t political; it’s science — not to mention common sense. Sorry, you’re off on this one. Since when is “climate change” political???? It’s only been made so by politicians. It IS occurring, 90%+ of scientists agree, so get over it already!!!! Climate change is here to stay, it has REAL effects, even at extremely small temperature changes, AND if it heats us up (which it has already) and we get more dehydrated as a result, I’d want to know it. Please get your heads out of the sand. Don, kidney stones are very genetic, as in family histories of kidney stones. What is more important here is the genetics you received from your forefathers and mothers allows your body to make stones. you have a metabolic error causing an alteration in your urinary matrix resulting in the formation of kidney stones. Your Health Care Provider should have placed you on citrates and continued to monitor you to prevent stone formation. I know of a young woman who died when a large kidney stone got stuck somewhere in her system and caused an infection so toxic that it killed her within 24 hours of her going to the doctor to complain about back pain. I’ve heard lemonade helps to prevent them. An internist once told me I could eat nuts and other foods high in oxylates but to take a Tums after as the calcium counter acts the oxylates. Calcium oxylate crystals are what form calcium oxylate stones. So, if you eat foods that contain oxylate and also increase your calcium intake, you are doing the same thing as using gasoline to put out a fire. Chemistry 101: increased calcium and oxylate blood concentrations will result in excretion of the ions by the kidneys. As the ion concentrations increase in your kidneys, they will combine (Calcium is a positive ion and oxylate is a negative ion) to form calcium oxylate molecules that will crystallize and as the crystals increase, they will form stones. I have had calcium oxylate stones 3 times. The first time, my urologist used a laser to destroy the stone in one of my ureters (not fun) . The last two times, lithotripsy was used to destroy the stones in my kidneys. The problem with lithotripsy is that the shock waves also harm the kidneys. I wish I had known this before letting my urologist blast my kidneys. The last time my urologist blasted both kidneys and this resulted in severe loss of kidney function. My GFR (glomerular filtration rate) dropped from 90 ml/hr before lithotripsy to below 30 ml/hr after lithotripsy (anything below 60 ml/hr is considered abnormal kidney function. If I ever have stones in the future, I will not let the urologist blast both kidneys at the same time. Calcium taken with meals bonds to oxalates in the digestive tract. The compounds formed are not absorbed into the blood in the small intestine–they pass out of the body with solid waste. That’s why urologists suggest that you take Tums with meals. It’s counter-intuitive, I know–but the theory can be found with a little search of the internet medical sites. I am one of those in the new group of people who have had kidney stones – a woman in her seventies who had never had an issue until last year. My physician prescribed Potassium Citrate which, so far, has worked quite well. I am also consuming more fluids than I used too. I also take a lot of calcium. I plan to revisit that issue with my doctor as well. My doctor said drink lots of water every day! My husband sweats alot when he exercises and used to have trouble with kidney stones. If he drinks plenty of water, especially before and after exercising, he has been able to pass the kidney stones and not grow new ones. The calcium/ magnesium balance and amount and timing of Eating protein also seems to help prevent them. Eating more vegetables and fruits and less salt and sugar seems to help and this kind of a diet also helps prevent all kinds of other health problems, especially if you drink plenty of water. I dissolved my kidney stone with parsley tea made from a bunch of fresh parsley every evening and fresh grapefruit squeeze juice. I used these two for 6 months, all stone are gone! i am not allowed have dairy as i am intolerant to it. my health is much better since i stopped drinking or eating dairy my health is much better. my Doctor said i must take calcium tablets for the rest of my life. I had frequent kidney stone passing incidents my whole adult life: chaotic trips to ER’s; the whole thing. They are terribly painful. Now, as an old, white, obese male, I haven’t had one for at least 6 years. The reason is because I found the proper treatment to prevent them: Potassium Citrate. My urologist calls it a “lemonade pill” for some reason, and many doctors are apparently not even aware of it. If you have kidney stones, ask your doctor; not a single one in 6 years. What foods help in eliminating stones from kidneys? Lemon juice in warm water(tea) on a daily basis eliminated attacks for me now for 20 years after 3 painful attacks. Elimination of stones from kidneys is not what you want: it’s very painful. Suppression of the growth of them is what you want. Avoid purine in all foods and ask your doctor about Potassium Citrate: I’ve not had a single stone in the 6 years I’ve been taking it, after an adult lifetime of frequent attacks. I’m the old, white, obese male talked about in the article; but now I’m stone-free. “Climate Change”!!?? What idiot wrote this entry? Less than 0.02 degree Centigrade increase [two ONE HUNDREDTHS of a degree!!] global average temperature. I will NEVER buy a publication from such a nexus of scientific illiteracy! One’s ambient body temperature varies more than that in 5 minutes. South Carolina has not dried up in the past two decades. WTF happened to Harvard? My thoughts EXACTLY! Is there anything these nutty professors won’t blame on so called “climate change”? That’s what I thought! Never miss an opportunity to drive a political agenda. Global warming has nothing to do with politics. Carbon dioxide is a greenhouse gas. Burning fossil fuels increases the carbon dioxide concentration of the atmosphere. Since greenhouse gases are opaque to infrared radiation, the law of conservation of energy tells us that the earth will warm as we add more carbon dioxide to the atmosphere. Global warming has only been a concern after the Industrial Revolution when humans discovered they could dig up fossil fuels and burn them to produce energy. The problem comes when people ignore science when making political decisions. This was the case when the medieval Church persecuted Galileo because he used science to reject Church dogma that the sun revolves around the earth. Pope John Paul II apologized for the persecution of Galileo (about 400 years too late, but better late than never). I wonder who will have to apologize for all the ignorance expressed by people who deny that burning fossil fuels causes global warming. Statistics 101: a small change in the average of the distribution does not tell you what is happening at the extremes of the distribution. If there are more very hot days as well as very cold days, the average will not change very much. The problem is those very hot days in the summer (and global warming will cause longer summers) that cause dehydration. Stones are more likely to form in a person who is dehydrated because the concentration of the ions that form the stones increases when you are dehydrated. This is why you are told to drink more water to prevent stone formation. But why did the earth start warming approximately 12,000 years ago (at the end of the last ice age) which is about 11,800 years before humans started burning fossil fuels? I’m not even vegan, but I rarely see this brought up. A pretty poor movie, “Cowspircay”(Leo DeCaprio production no less), did bring up this point. It’s in almost no ones interest to talk about the negative consequences of meat production. I do have grandchildren, so I’d like to see the science through on all of this. It may take several years for the science to settle in common consensus realty (meaning something obviously everyone knows), but I’m thinking meat eating has probably got to go way down. Also, the mention of “climate change” in this article is a very bad and inappropriate idea. I suppose it’s part of the internet age, editors are few and far between. I bet the author has second thoughts now too. I will continue to drink lots of water each day at least 8 glasses. And cut down on drinks with sugar. This article was very helpful. Try parsley tea with honey every evening. Make the tea concentrate , let the parsley to infuse for 20 min and than drink up. Two of my acquaintances are suffering from gallbladder stones, and strongly recommended to drink a herb tea – a specific herb, referred to a cat’s whisker. The one cultivated by human may not be so effective as those wildly grown due to the amount of ingredients. The one from Thailand has been used at the hospital and is scientifically proven that the tea does both prevent and dissolve the stones. A friend of mine in Japan had the same problem, but hadn’t recurred since he began drinking the tea. As far as I understand, Cat’s whisker is approved by FDA as a safe herb. Thanks for the tip. Just as a point of information, kidney stones and gallstones are both called “stones” but are entirely different. As I understand it, kidney stones are crystals while gallstones are compressed fat. I would expect their treatment to be different, except for the part of getting enough (but not too much) liquid. Since we don’t need our gallbladder, if you have gall stones, the bladder is surgically removed and you will never have problems in the future. Unfortunately, we cannot live without our kidneys, so removing them because they contain stones is not an option. The Hippocratic Oath forbids the use of the knife to deal with stones. I guess this was because you were more likely to die in surgery in those days than you were to die from having stones. What about Vitamin K2? It seems that Americans have a large deficit in Vitamin K2, according to “The Calcium Paradox” by Kate Rheaume-Bleue. Vitamin K2 helps calcium go where it belongs, into the bones, for example, and not building deposits in soft tissues. Since we have been told the last 40 years to steer clear of milk, cream, cheese, and animal fats, we are not getting enough of it. Please write an article addressing this issue! As a student of nutrition, this seems to be a likely cause. The rise in kidney stones seems to correlate with the adoption of a “low fat” high sugar diet, which has led to numerous medical issues. Thank you for that reasoned response, Beth. I have been paying close attention to news about Vitamin K2 and am convinced it is going to be a game changer in the future, when the medical community finally realizes the importance of this variant of Vitamin K, which has nothing to do with blood clotting. Bacteria in the gut convert Vitamin K1 to K2. So long as you have bacteria in your gut (this means you do not take massive doses of antibiotics that kill your gut bacteria), there should be no dietary deficiencies for Vitamin K.
True, but apparently the bacteria in our gut is only supplying about 5% of the vitamin K2 we need. We used to get it from grass fed cows yielding dairy products with plenty of K2, but because of factory farming butter and cream isn’t what it used to be. Also the meat from grass fed beef and chicken has much more vitamin K2. This deficiency of vitamin K2 could be one of the main causes of atherosclerosis and other problems with calcium deposits throughout the body, and also with osteoporosis. Everyone should read “The Calcium Paradox, How a Little Known Vitamin Could Save Your Life” by Kate Rheaume-Bleue.